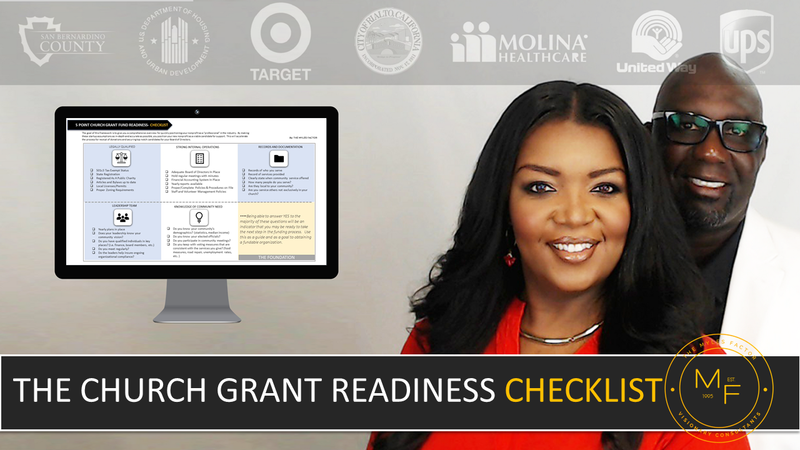 ARE YOU READY TO RECEIVE GRANT FUNDING? 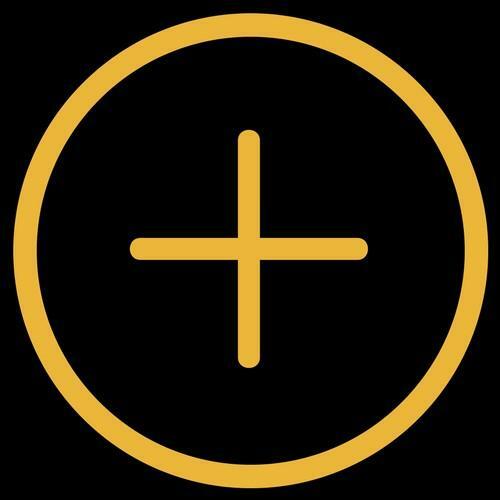 Pastors and Church Leaders, are you are looking to start receiving grant funding for your community vision or just want to know if you are moving in the right direction? 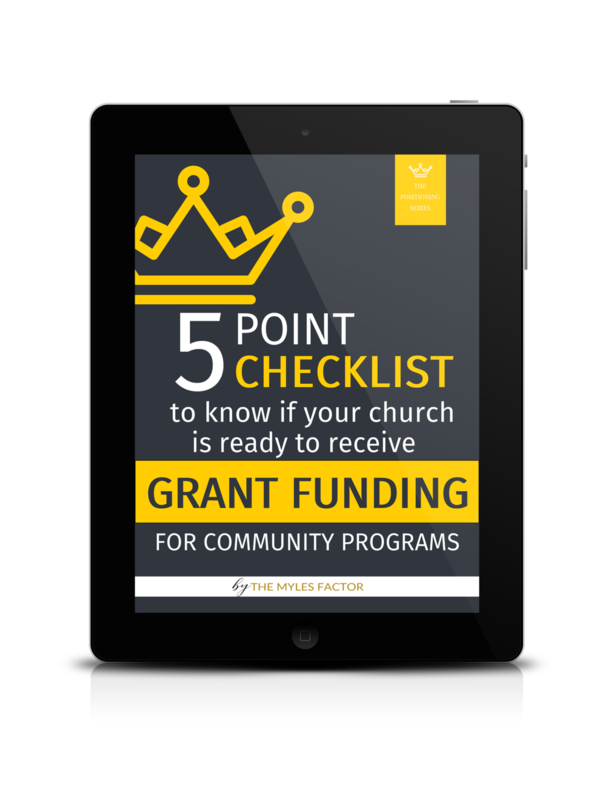 This is why we put together this brand-new checklist & training that will help you decide if you and your ministry are ready to develop a largely successful community program that gets funded. Get yours now! This takes the elements of the checklist and put them into a quick snapshot and resource for you to use as a reference and guide.